I'm really excited about this deliciously indulgent dessert I came up with this afternoon! 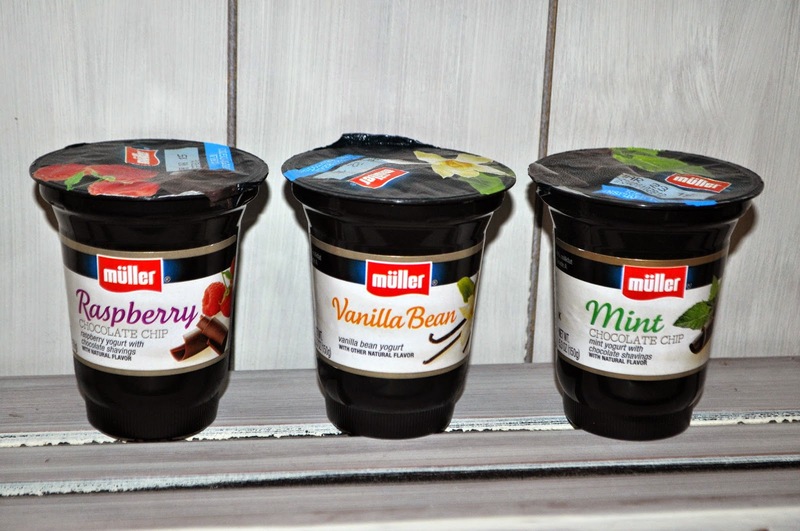 I've been looking forward to trying out this new product, Müller® Ice Cream Inspired Yogurt, and had the opportunity today to try all three flavors in a sweet treat that's perfect for some "me time!" Do I really need to explain the need for "me time" around here? Ha! Seriously, I cherish my family and do my best to give them my all. However, homeschooling with so many different ages and interests keeps me hopping all day. 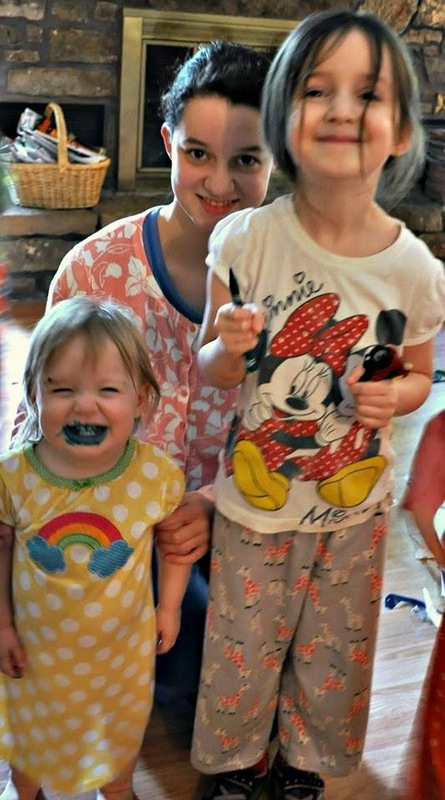 By the end of the day, sometimes, there's only so much I can take before it's time to give them all a kiss and head for the bedroom, jump under the covers, and stick my nose in a book. It's not long, though, before I sneak back out to grab a snack and some tea. 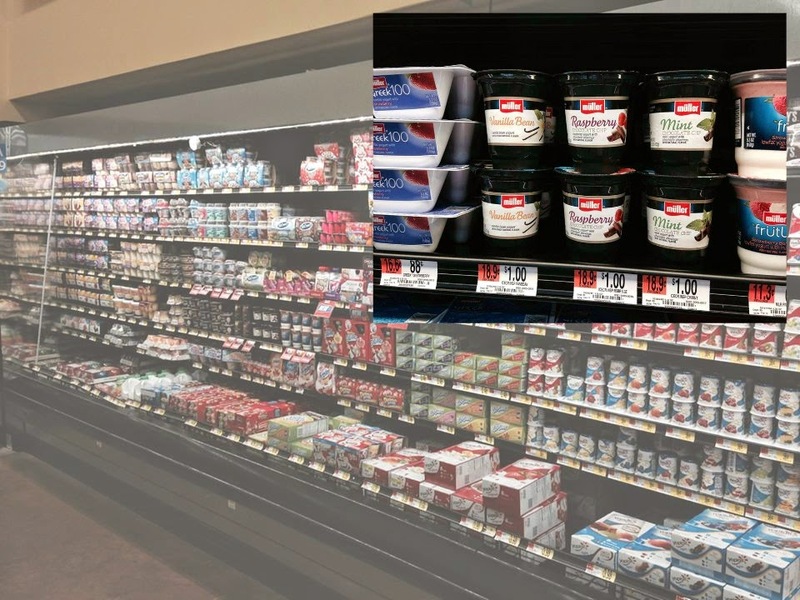 These new flavors of yogurt are reminiscent of favorite ice cream flavors---Raspberry Chocolate Chip, Vanilla Bean, and Mint Chocolate Chip---without quite as much guilt! With less sugar than other yogurts, this is a nutritious source of protein and a great alternative to ice cream. I found all three flavors in the pudding section at Bentonville Walmart this morning. If you're local to Northwest Arkansas, make sure to check out the in-store demos at Bentonville on March 13th and Pineville, MO on March 15th. If not, look for a possible demo in your store March 12th-15th. 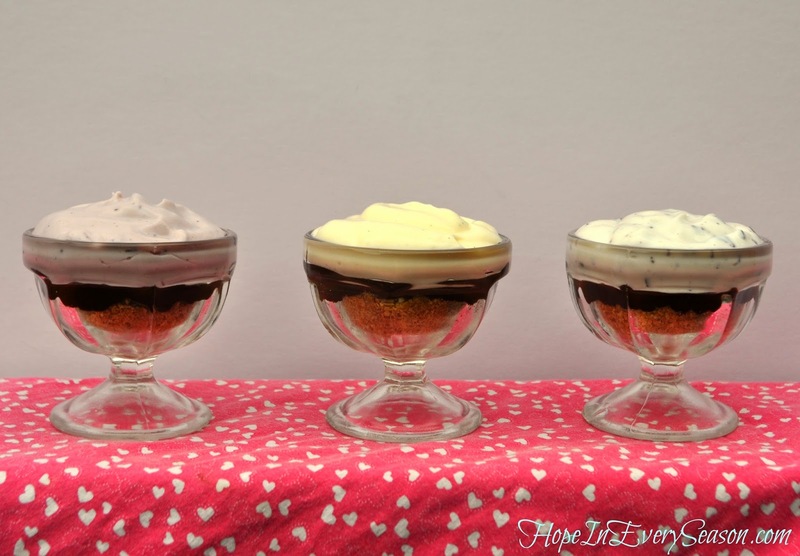 With just a few added ingredients, I took the indulgence up a notch and created these Fudgy Yogurt Parfaits. These are the perfect treat to keep in the fridge for my secret get away times! Step One: Melt the butter and stir in the graham cracker crumbs. Press the mixture into the bottom of a 4-6 oz. dessert cup. Step Two: Melt the chocolate chips, stirring until smooth. Mix in the whipped topping and stir until all melted and mixed well. Pour on top of the graham cracker crumbs and cool in the refrigerator for 30 minutes. Step Three: Fill the rest of the cup with your choice of yogurt and enjoy! 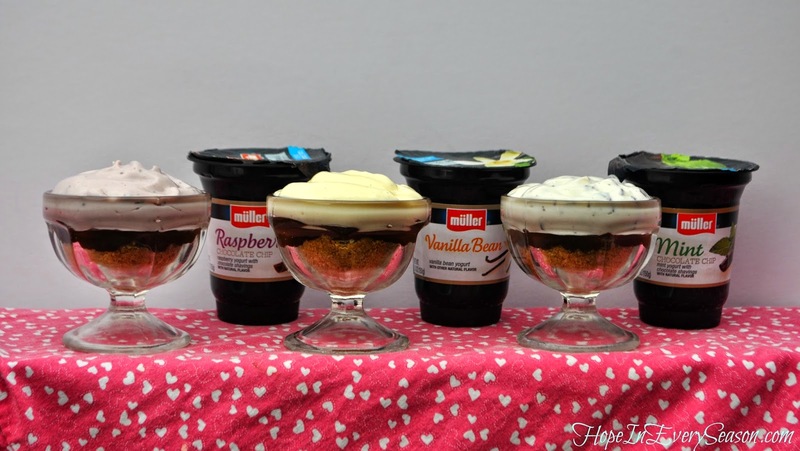 This recipe works well with all three flavors, but my favorite was the Raspberry Chocolate Chip. With a yummy treat like this, who needs to feel bad about eating dessert first? How do you like to spend your "me time?" Let me know in the comments below! Love Müller®? Visit www.Mullerquaker.com to sign up on for their mailing list and receive the latest news and offers. As a thank you, you'll also get a coupon to use toward your next purchase. 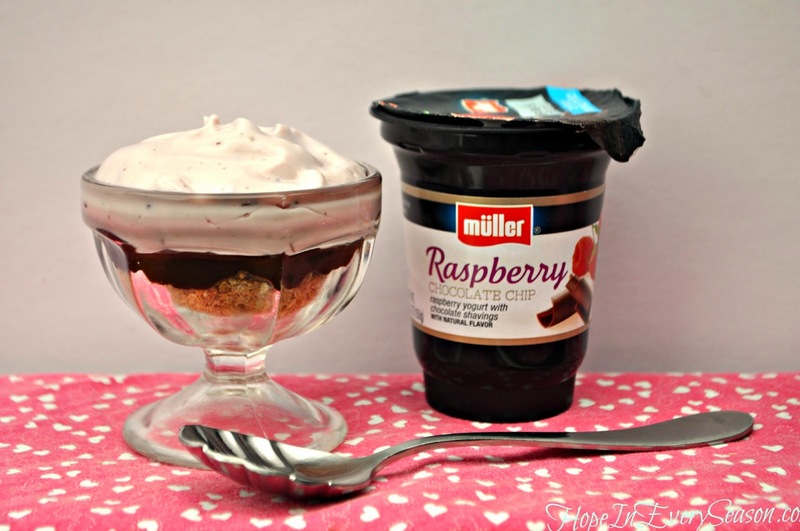 Müller® Ice Cream Inspired Yogurt is just the right amount of wrong. Whether it is a touch of indulgence to start your morning or an indulgent break in the afternoon - go ahead and indulge because you deserve it! Visit Müller® on Facebook and Twitter. Also, make sure to attend the Twitter Party on March 11th at 2:00 CST. Participants could win one of five $100 Walmart gift cards or one of two $200 gift baskets! Oh, this is good. Yes, me time is important, especially when you have little ones. This dessert looks amazing.